The January meeting will be held at 7 p.m. at the Columbia Country Club. Social time is at 6:30 p.m. The guest speaker will be Justin Kinzinger, financial adviser for Regions Bank, who will discuss investments and retirement planning. The JC Cosmo club will have its annual Pancake Day from 11 a.m. to 7 p.m. at the Selinger Center in Jefferson City. The Breakfast and Luncheon Cosmo clubs will hold their annual Pancake Breakfast from 6 a.m. to 1 p.m. at the Cosmo Building. The Cosmo Luncheon club invites all Cosmo members to sing a favorite song or two in front of a live audience beginning at 6 p.m. at the Cosmopolitan Building. Thank you to Cosmo members who gave gifts or money for the Voluntary Action Center's three sponsored families. A total of $185 was collected for food vouchers. 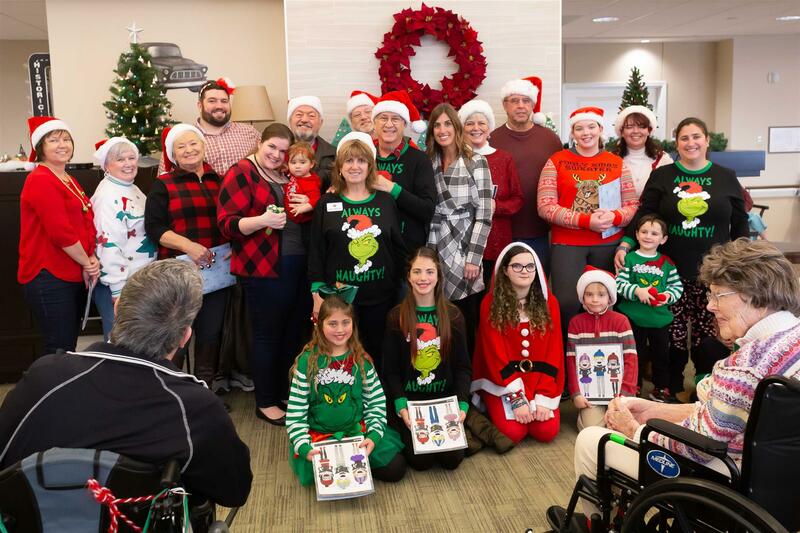 Members of all three Cosmopolitan clubs in Columbia gathered Dec. 9 at Lenoir Woods to sing a variety of Christmas songs to residents and guests. The carolers were treated to cookies and hot chocolate after the songs were sung. Click here for a video of these Cosmo carolers.